Gone are the days when professionals were forced to scour the job listings in the classifieds sections of the newspaper and physically go to an open positions office space in order to apply for the job. The Internet has forever changed the way that professionals seek out and apply to jobs. With the ability to search through thousands of different jobs in a singular city at their fingertips, job seekers have an advantage that those in previous generations never had. Below is a list of 12 job boards on the Internet. While some have a wide variety of jobs on them others are specific to a certain niche. Other niche job boards not among the list below include DataJobs and icrunchdata for analytics professionals, RemoteWorkHunt for Internet professionals, efinancialcareers for those looking in the banking and finance industry as well as Find Bacon for Web designers and developers. This job board has become one of the most popular online destinations for job seekers. Indeed features a variety of filters that users can leverage to narrow their search results like Salary, Title, Company and Location. For those looking for a more focused search, Indeed offers several advanced search features that users can leverage to narrow down their search results even more. 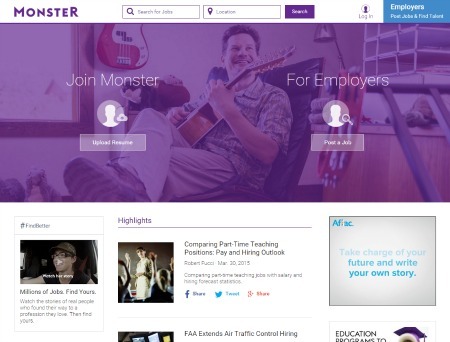 A staple among job boards, Monster helps job seekers from diverse backgournds find their dream job through advanced search filters. One of the most popular social media networks on the Internet, LinkedIn is a great way for users to meet other professionals and expand their network of contacts. 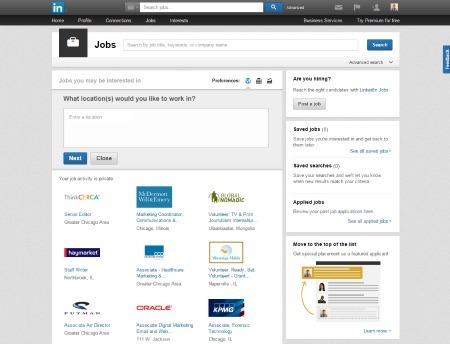 Interestingly, LinkedIn also allows its users to view open job positions right from its platform. Finally, job seekers may find themselves recruited organically by companies looking for professionals with their skillsets and experience. 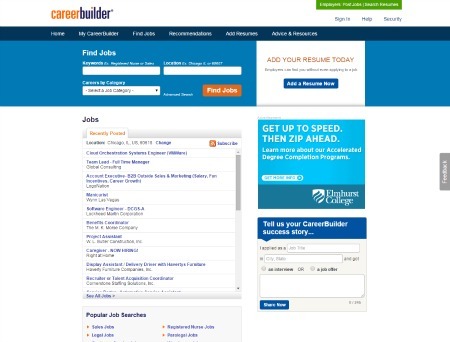 One of the most established job boards on the Internet, CareerBuilder is a powerful job search engine that allows users to select from a variety of filters in its advanced search function. 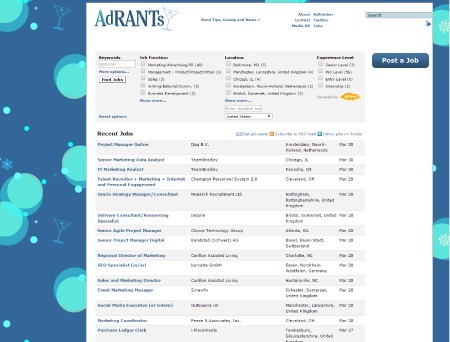 A marketing and advertising media website, Adrants has a very specific job board with only select listings. With just seven total Job Function categories (including Marketing/Advertising/PR, Management, Sales, etc.) Adrants caters to a very specific market. 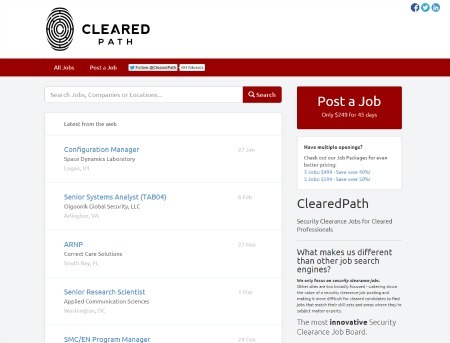 Another niche job board, ClearedPath lists jobs exclusively for those that have special security clearances. 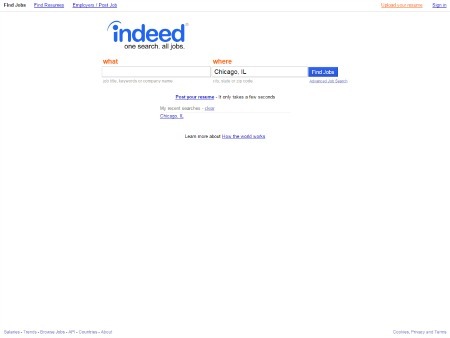 While massive job boards like Indeed and Monster present users with a comprehensive search of all jobs available, many times users have a specific category or vertical they are looking in. Dice is a job search engine specifically focused on the technology industry and connecting professionals with the correct job for them within the industry. The medical industry is one of the biggest industries in the world and finding the right job within the large industry isn’t always easy. 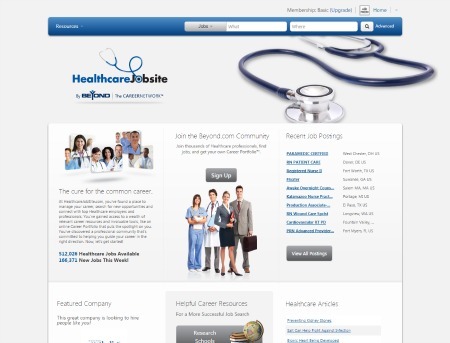 Healthcare Jobsite is a job board just for medical professionals where they can enter specific keywords and phrases to narrow down their search and find their next job. 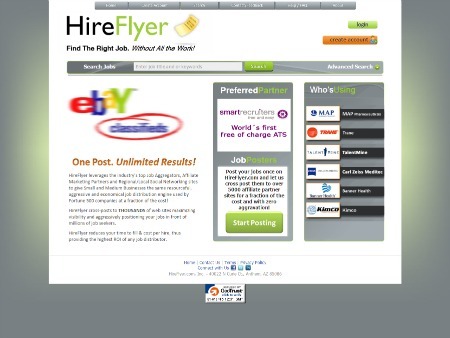 A simple to use job search site, HireFlyer enables professionals from various verticals to search for jobs using a variety of basic filters. Linking to various outside job boards, portals and websites, Juju.com is a comprehensive job search engine where users looking for jobs in various industries can find open positions. Also, with just five filters in the advanced search function, Juju.com offers a simple yet comprehensive search experience. 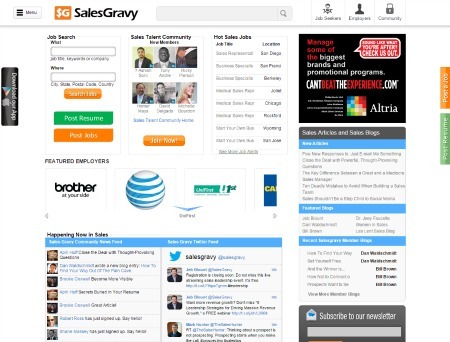 Also a niche job board, SalesGravy is a job search engine specifically for salespeople. 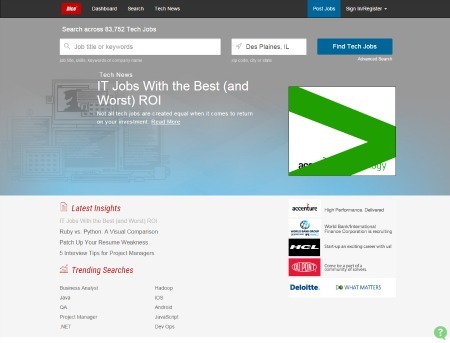 While the job board enables its users to search in multiple industries the only jobs they can see are sales related. 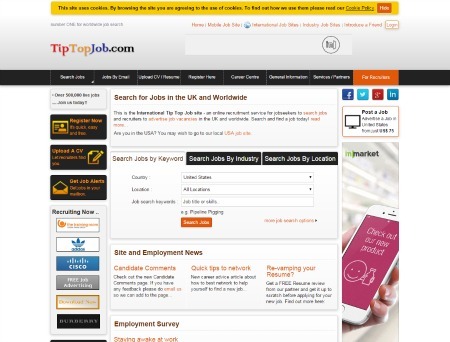 A comprehensive job search engine, TipTopJob.com enables users to view and apply for jobs in a vast array of industries using simple filters to restrict and focus in their search queries.